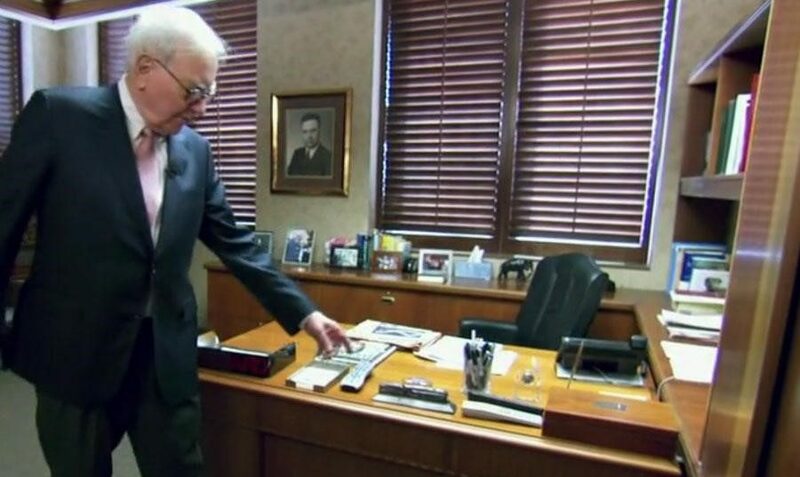 A couple months ago, I was up late watching some TV when an HBO documentary about Warren Buffet came on. For those of you who don’t know, Warren Buffet is probably the greatest investor in history—not to mention the third richest person in the world. I always find it fascinating to see what makes people like him tick. How does someone end up being worth over 80 billion dollars? Here’s what I was thinking when I first saw it: where’s his computer?!?! The crazy thing is that he doesn’t use one. In fact, he’s only sent one email… in his entire life. In a day and age where we practically live on the internet and rely on information at our fingertips, the greatest investor doesn’t even have a computer. It might not seem like you have much in common with an 80-year old billionaire investor living in Omaha, Nebraska, but you do. Even though you might not think of yourself as an investor, consider how many hours of your time you invest in yourself and your fitness. The difference between you and Buffett (aside from the fact that he has 80 billion dollars and you don’t) is that he’s investing his money into different companies. You’re investing your time and hard work into your body and your fitness. The payoff might be different, but the process isn’t too far off—at least if you want to be successful. The key to both, whether you’re investing in stocks or in fitness, is to use the right information to make the right decisions. And that brings me to what you can learn from Warren Buffett: the importance of using the right information to drive the decisions that go into your training. The truth about training is that figuring out all the right answers to these questions isn’t easy. It’s something most people struggle with. 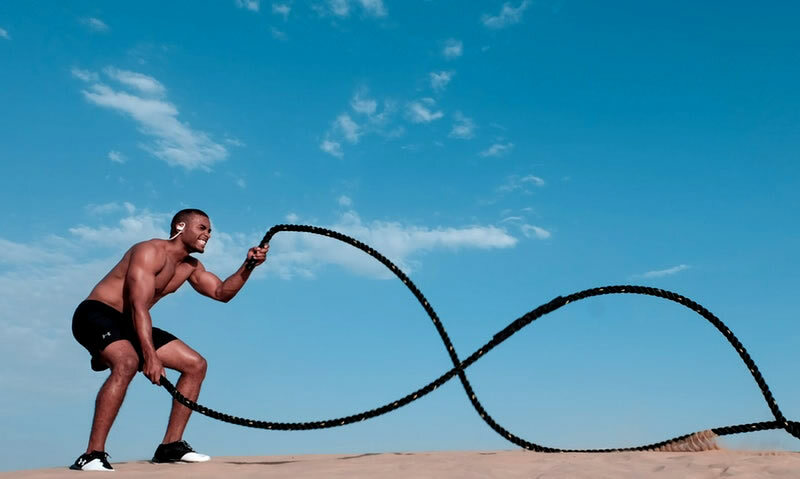 When I asked more than 50,000 people on my email list what they found most challenging about writing conditioning programs, almost every answer came back to these same decisions. Even more, one of the most common things people said they were most unsure of was how to know if their conditioning was even improving in the first place. If you don’t how to tell whether or not your conditioning is improving, how can you possibly make sure you’re investing your limited time and hard work wisely? In other words, how can you make the right training decisions if you don’t have any information to base them on? It would be like Warren Buffett choosing which companies to invest in without having any idea how any idea of how well any of them were actually performing. He might as well be throwing darts at a dartboard to pick stocks at that point. Obviously, Warren Buffett didn’t become one of the richest people in the world by throwing darts or guessing. He did it by understanding where the real power of information can be found and how to use it to his advantage. In its simplest form, a KPI, or Key Performance Indicator, is a nothing more than a measure of how well something is performing. People use different KPI’s in business all the time to try to filter out unnecessary information and get down to what really matters. In other words, the few numbers that are the most important to understand if you want to make the right decisions. This is what makes Warren Buffett an absolute genius. He doesn’t need a computer or endless spreadsheets of numbers to evaluate a company. Using nothing more than the information he reads in newspapers and company reports – the same information literally everyone else in the world has access to—he’s able to make better investment decisions. He can do this because he knows exactly what to look for. If your goal is to invest your time to improve your conditioning, there’s a lot you can learn from Warren Buffett. Instead of training as hard as you can and hoping for the best, you have to know know what the key performance indicators (KPI’s) of conditioning are and how to use them. This is the only way to evaluate whether or not your program is working and make the most informed decisions possible. 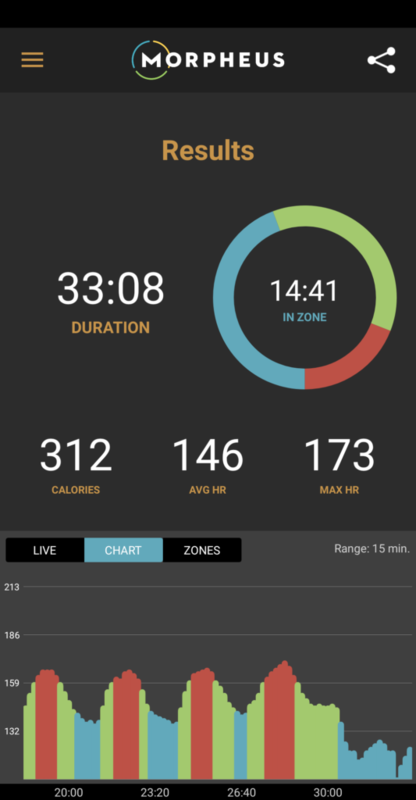 There are a couple of reasons that your average resting heart rate is a good conditioning KPI. First, it’s incredibly easy to measure. All it takes is a good heart rate monitor and a couple minutes a day. 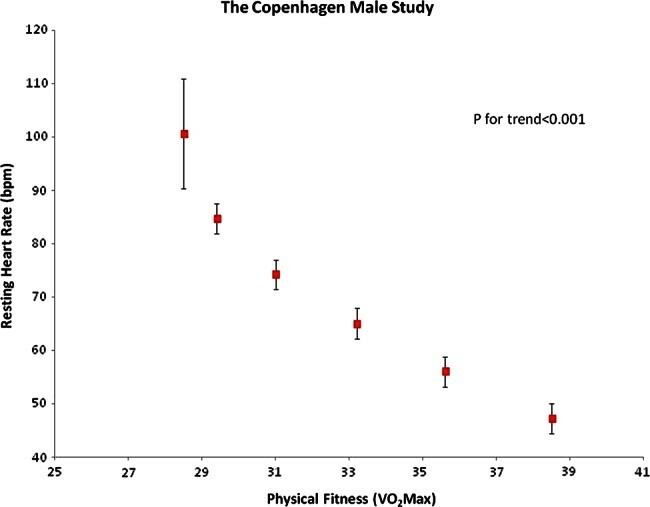 Second, it’s been shown through a good amount of research to broadly correlate well to VO2max—one of the key markers of aerobic fitness. While your resting heart rate will fluctuate on a daily basis, what you’re looking for is a gradual downward trend in your average over time. This is a very strong KPI that says your conditioning is improving and on the right track. By now, most people in the fitness industry have heard of heart rate variability (HRV), but there’s still some confusion about what it is exactly. Because it’s got heart rate in the name, it’s easy to think they are one and the same, but they aren’t. 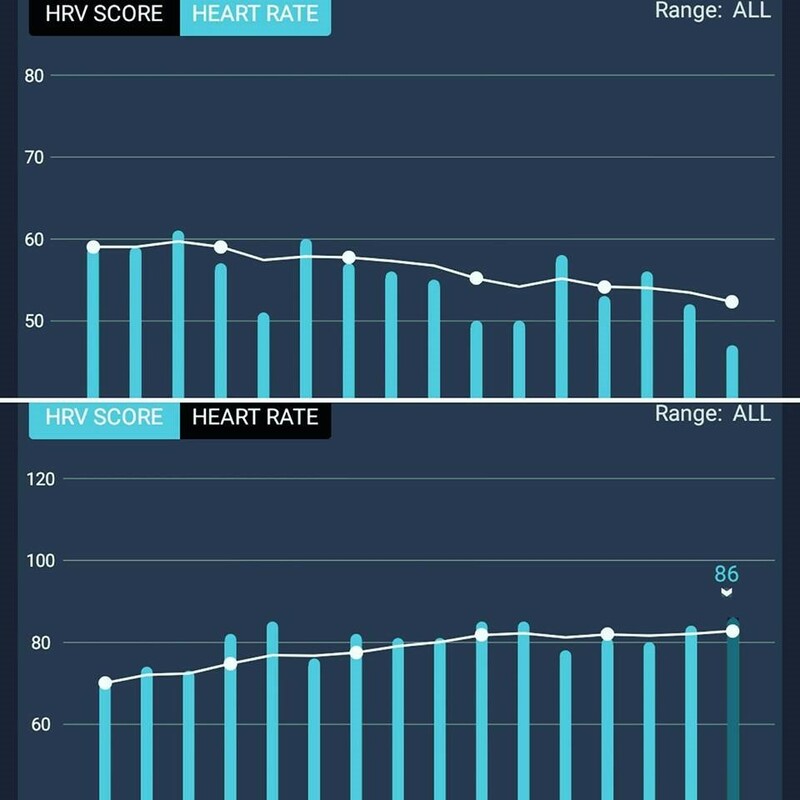 After using HRV on a daily basis for close to 20 years now and being one of the first to introduce it to the fitness market I can tell you this: HRV is one of the single most important KPI’s in all areas of fitness. This is because it correlates to everything from VO2max, to inflammation, to life expectancy, and just about everything in between. It correlates to so many areas because it’s a broad marker of your stress tolerance—your body’s ability to cope with the stress of both training AND daily life without breaking. One of the goals of every conditioning should be to improve this fundamental ability. Just like with resting HR, you can measure HRV in just a couple of minutes a day, but you’ll need more than a regular heart rate monitor. Instead, you’ll need and app specifically designed to measure HRV accurately. Of course I recommend Morpheus, (my own HRV and recovery system), but there are other tools to measure HRV out there as well. If your conditioning is improving, you should see a gradual increase in your HRV. A Morpheus user posted the graph below in our Facebook group and it’s a great example of how resting heart rate and your HRV change as conditioning improves. This is exactly what you should be looking for to make sure your time and energy are generating a good return on your investment. When I first started training combat athletes back in 2004, I have to admit that I was pretty clueless about conditioning. I had worked mostly with football players before that and barely knew what MMA was at the time. It didn’t take long for me to realize that having a fighter run 16 x 100m sprints (the conditioning test we used in college) was a waste of time. Fighters athletes don’t run up and down a field and football players don’t get punched in the face, so why should they use the same conditioning test? Because MMA is such a unique sport that can last anywhere from a few seconds up to 25 minutes, I had to figure something out. Over time, I found that looking at how quickly a fighter’s heart rate would drop in between rounds (60s heart rate recovery), was one of the best gauges of their conditioning. Research with high level cyclists that were put through a 4-week high intensity training program also supports the value of using heart rate recovery as a KPI. In the study, cyclists that saw their heart rate recovery increase over the 4 weeks had better performance (measured by a 40km time trial) compared to those that didn’t (Lamberts 2010). When you’re doing any type of interval conditioning, you should be looking for how fast your heart rate drops within the first 60 seconds of the rest period. If you’re not resting a full 60 seconds, research has also shown the drop in even the first 10- and 30 seconds is also a powerful marker of aerobic fitness and conditioning as well (Watson 2017). If you’re using Morpheus during your workouts, you can see your heart rate recovery clearly by looking at the the shift from the red zone down to the blue in between intervals. As your conditioning improves, you should see this happen faster and thus you’ll spend more time in the blue as you recover. When this happens, you should also see that you can do more intervals in a row without your heart rate recovery slowing down. Are you a coach or trainer and wan to learn more about how to design game-changing conditioning programs that win? Make sure to join the BioForce Conditioning Certification Insider’s List below to save $200 off the regular price and get the chance to register before anyone else.